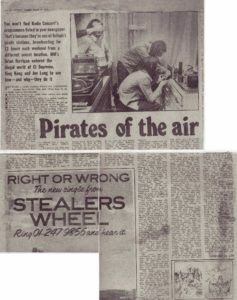 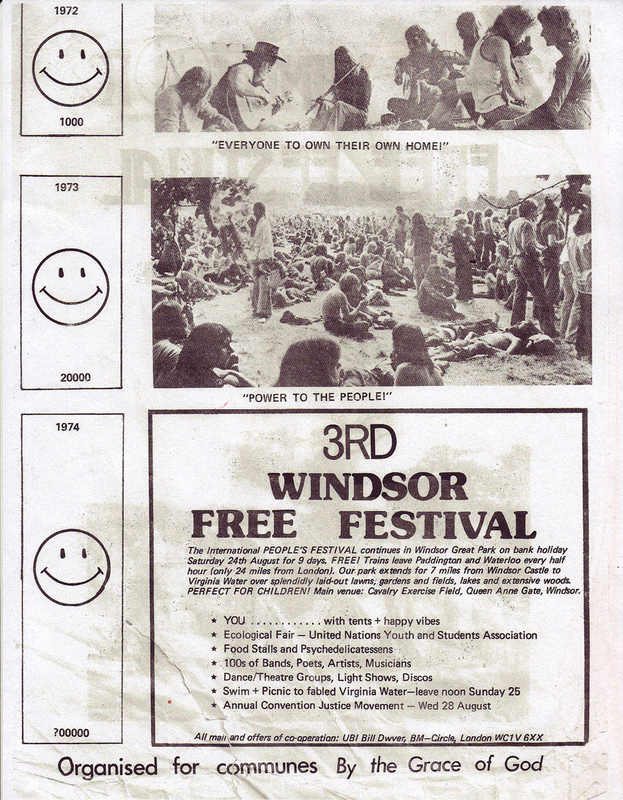 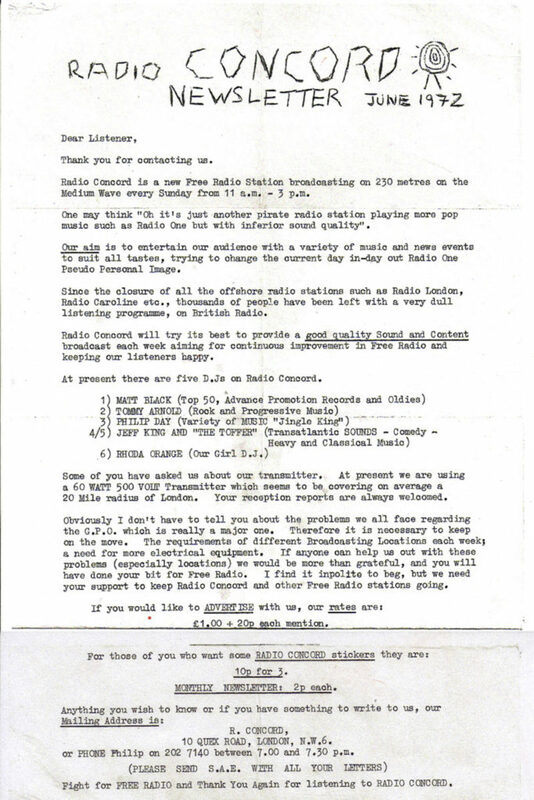 Here you will find an assortment of photos, posters, newspaper articles and other memorabalia from the days of PIRATE RADIO IN ENGLAND in the 1970s. 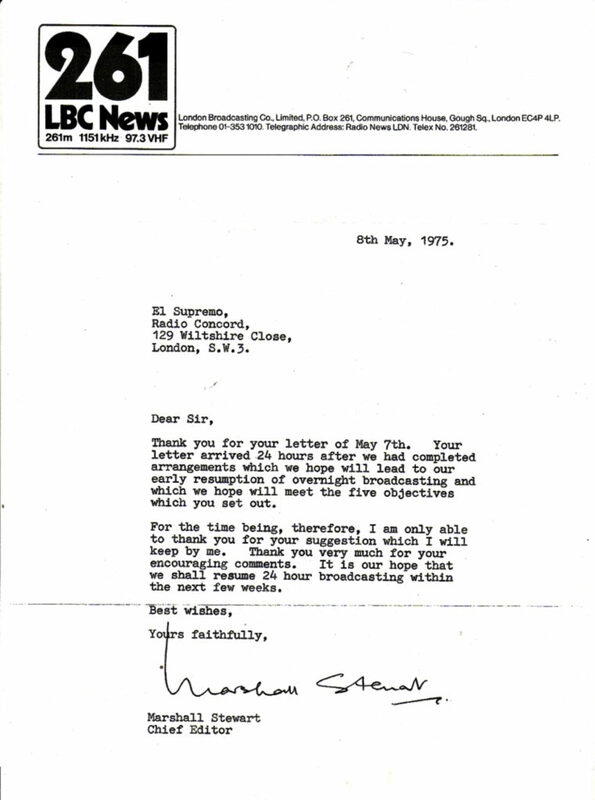 For larger views click on the image. 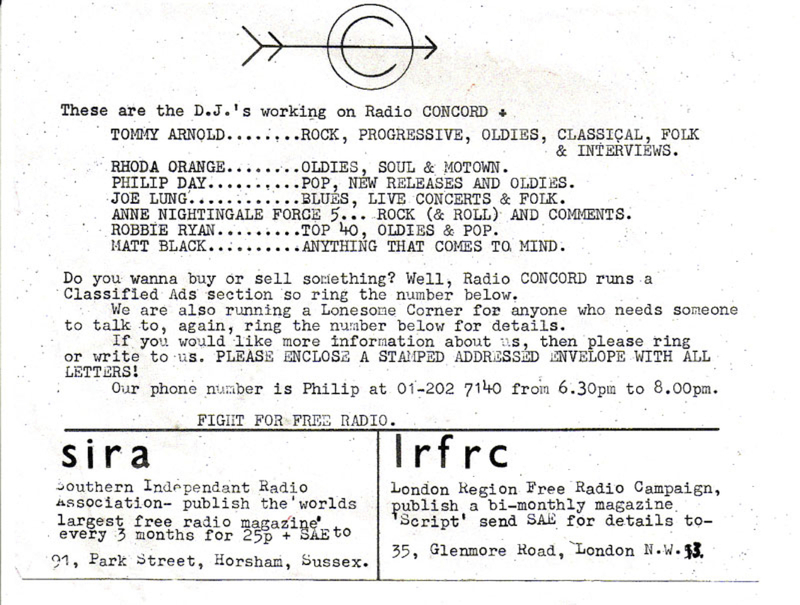 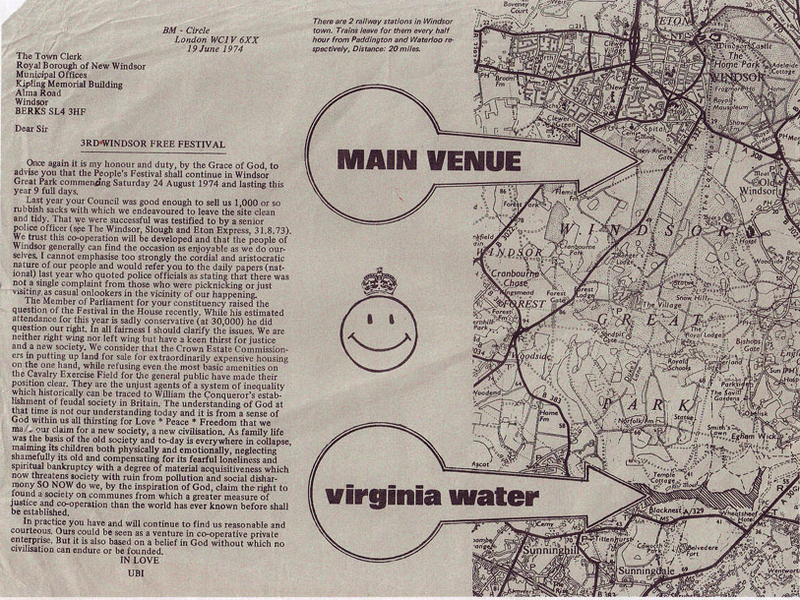 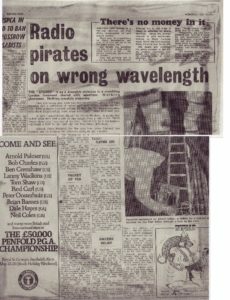 Listen to Arnold discussing his experiences with pirate radio in 1970s England – Interview with KOWS DJ Teresa Tudury, June 24, 2009. 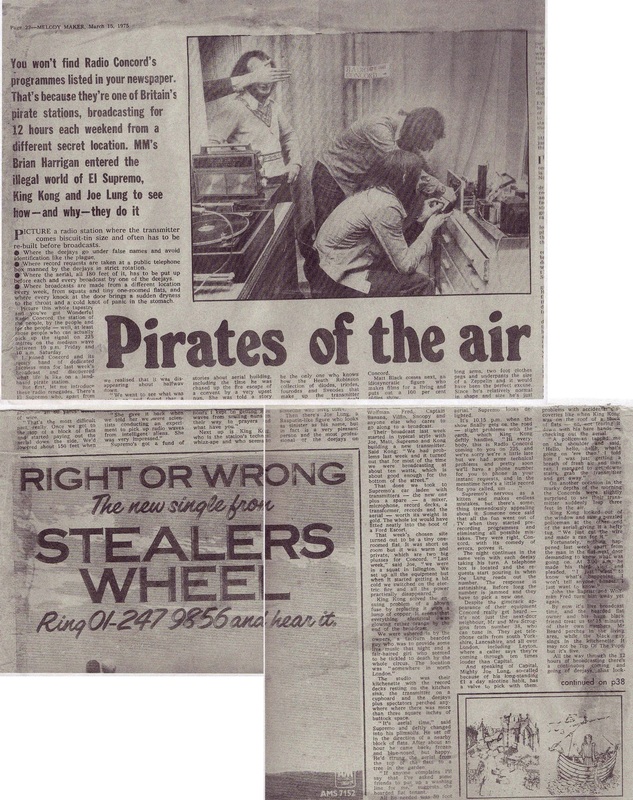 “Pirates of the air” – Melody Maker, March 15, 1975 p. 18, p. 22. 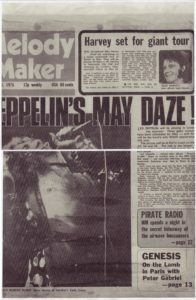 This Melody Maker photo was taken at a flat off the Balls Pond Road in Islington. 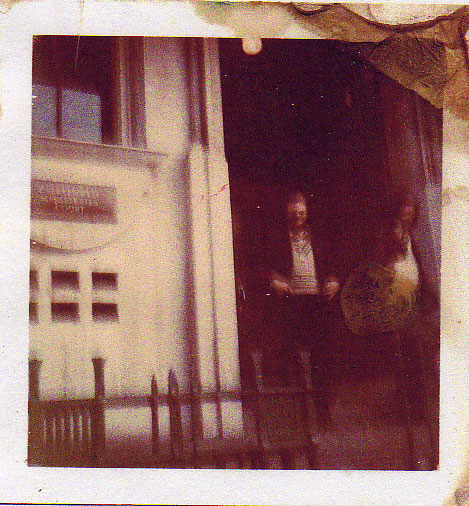 In the picture is Arnold, Graham & Keith. 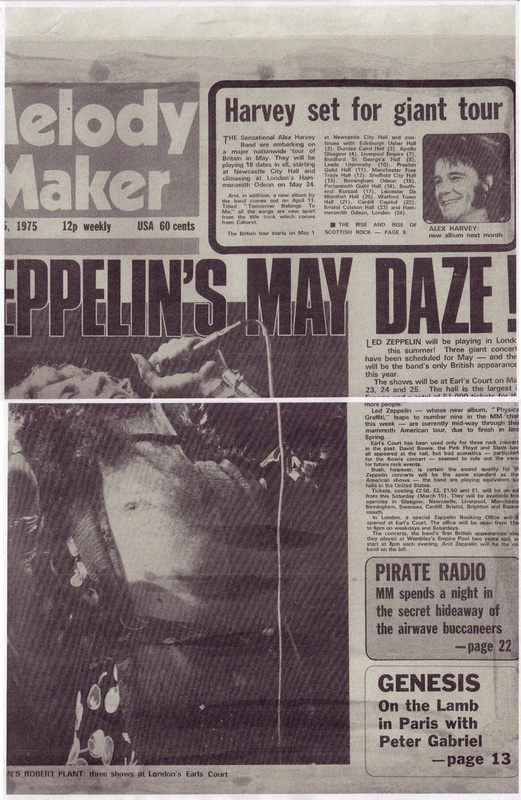 The hand belongs to MM reporter Brian Harrigan. 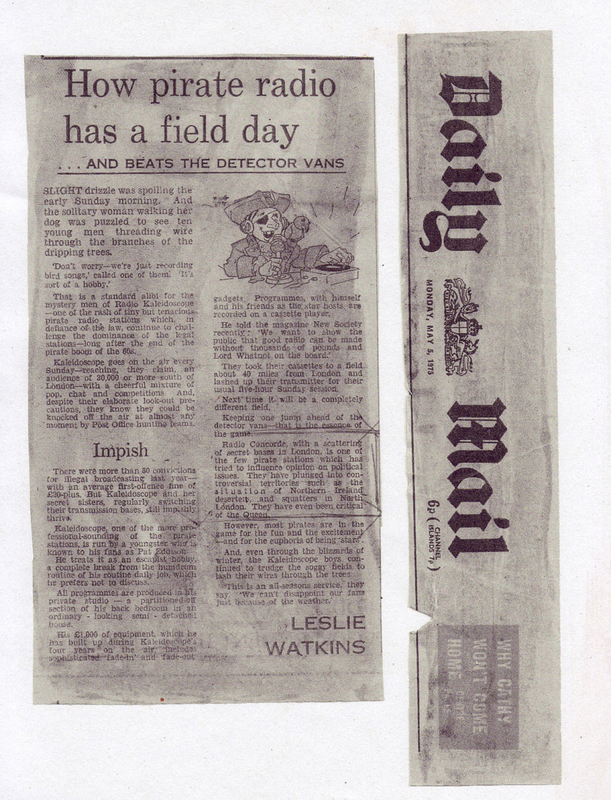 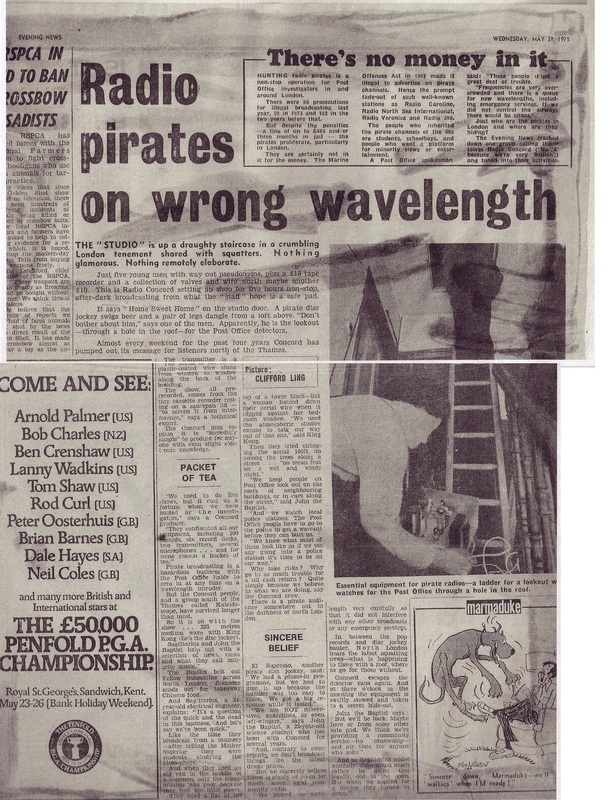 “Radio pirates on wrong wavelength” – Evening News, May 21 1975. 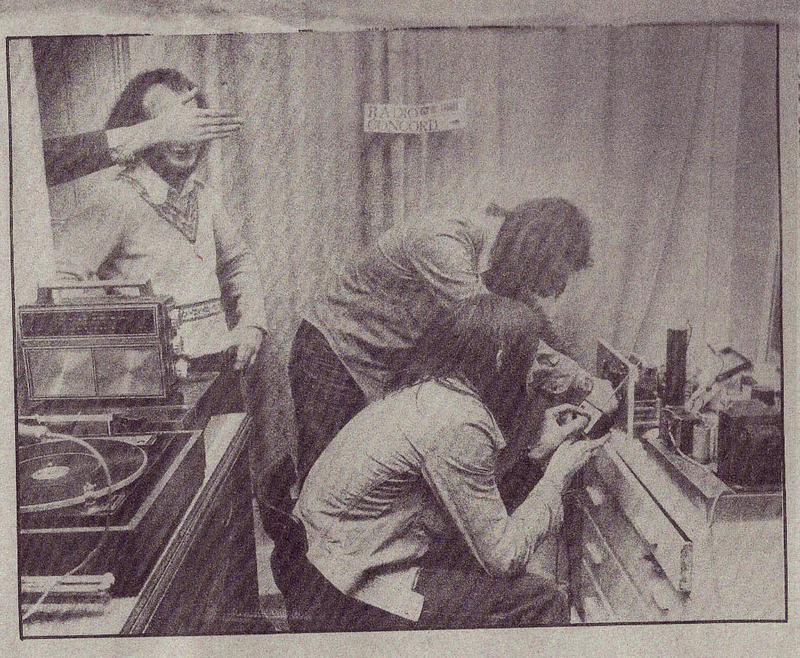 This picture of the broadcast from Evening News, May 21, 1975 – p. 22, was taken at 101 Elgin Avenue, the squatting home of Joe Strummer of The Clash just before he made it big. 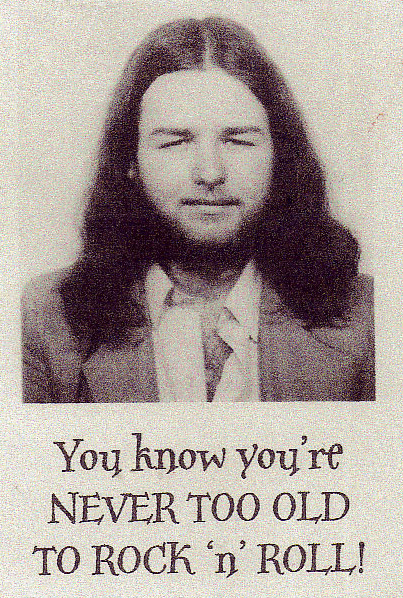 His squatters band at the time was called the 101’ers named after their address. Joe gave me his cassette copy of The Clash’s first album fresh from the studio, so I became the first person in the world to broadcast the Clash. 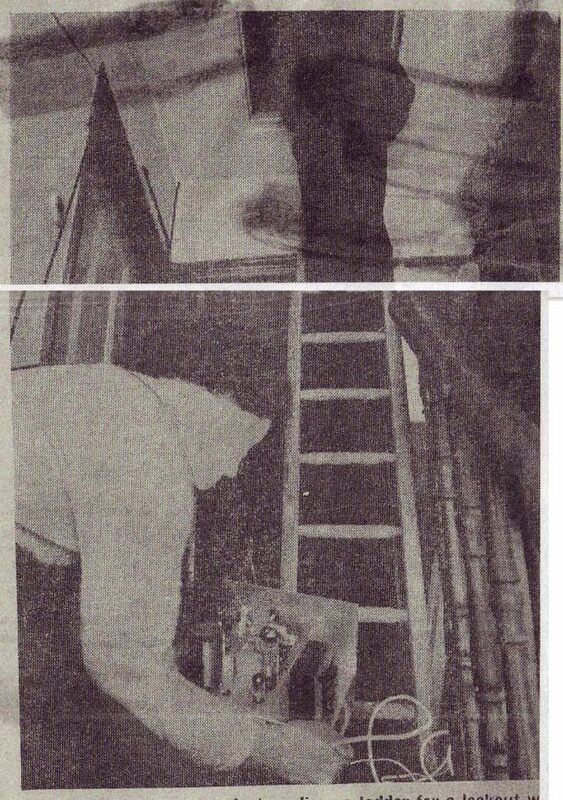 Arnold is holding the transmitter, Jean Luc is up the ladder. 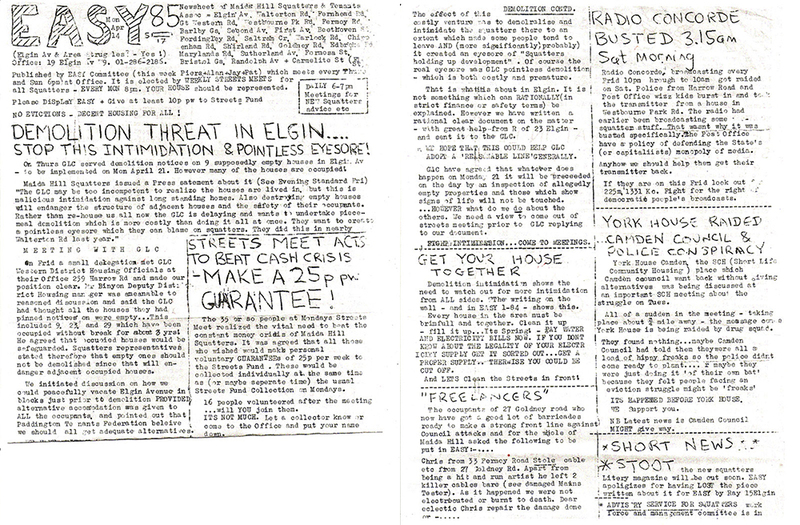 Easy 85 street sheet – April 14. 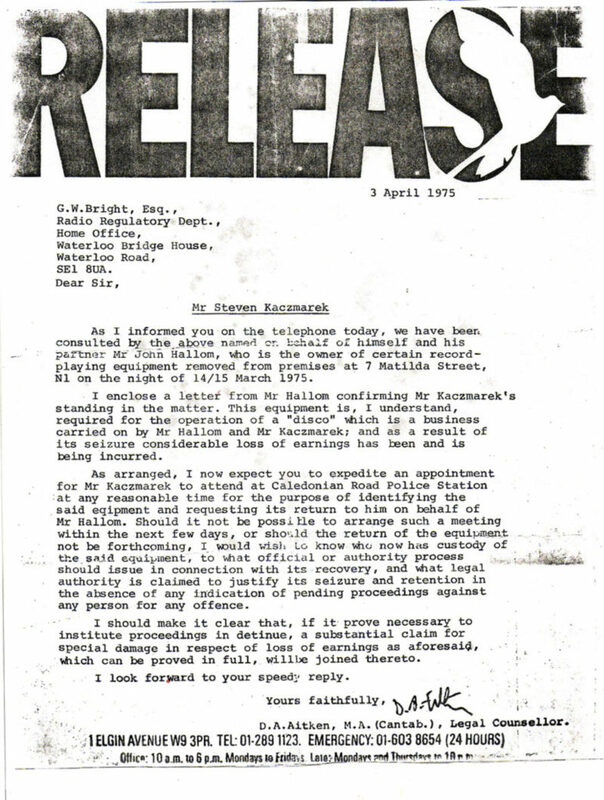 Newsheet of Maida Hill Squatters and Tenants Assoc. 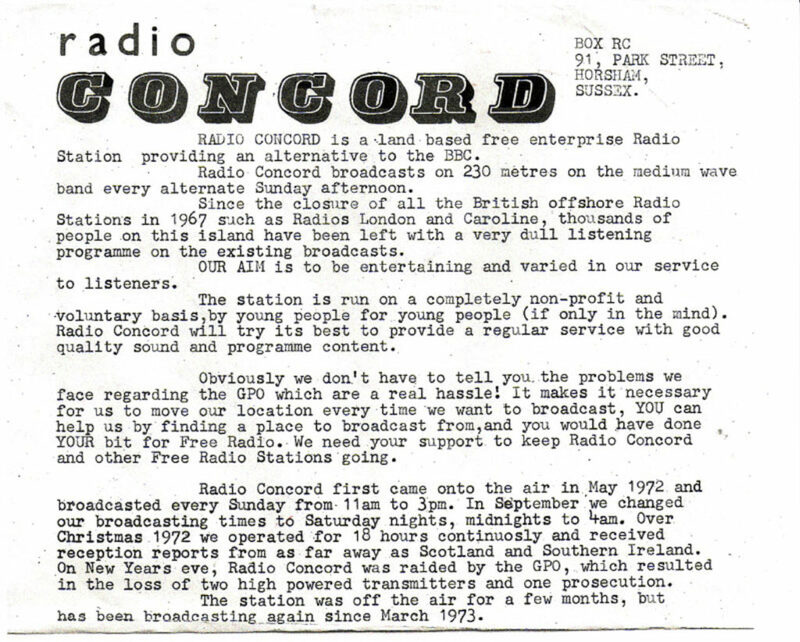 Graham Barnes, aka King Kong – Radio Concord’s engineer and DJ. 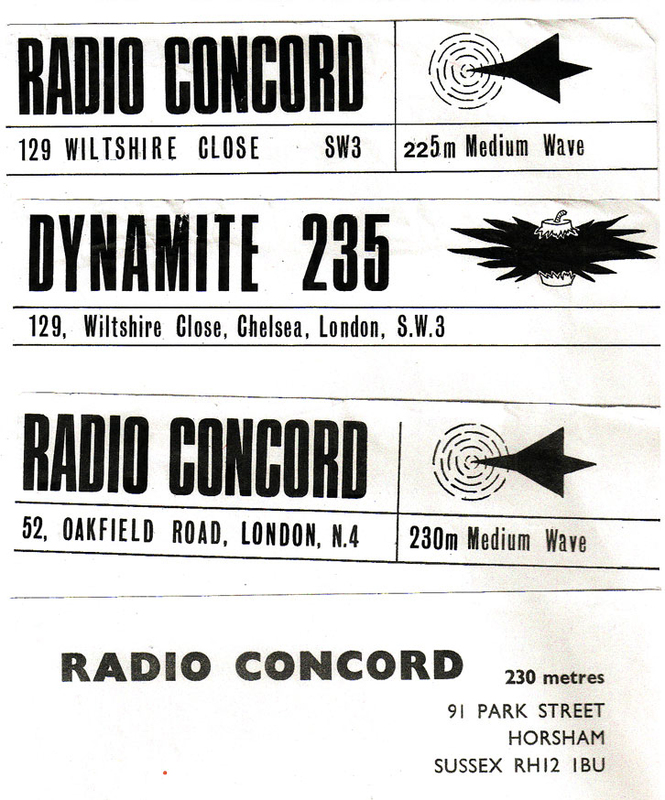 Started Radio Aphrodite before joining Concord. 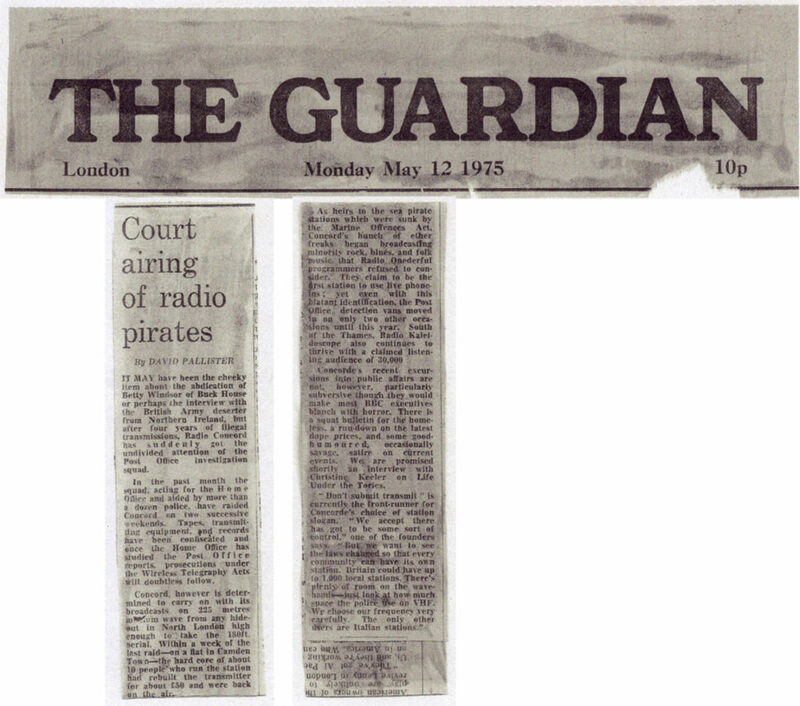 Arnold Levine & Graham Barnes standing outside Clerkenwell Magistrates Court after the pirate radio trial. 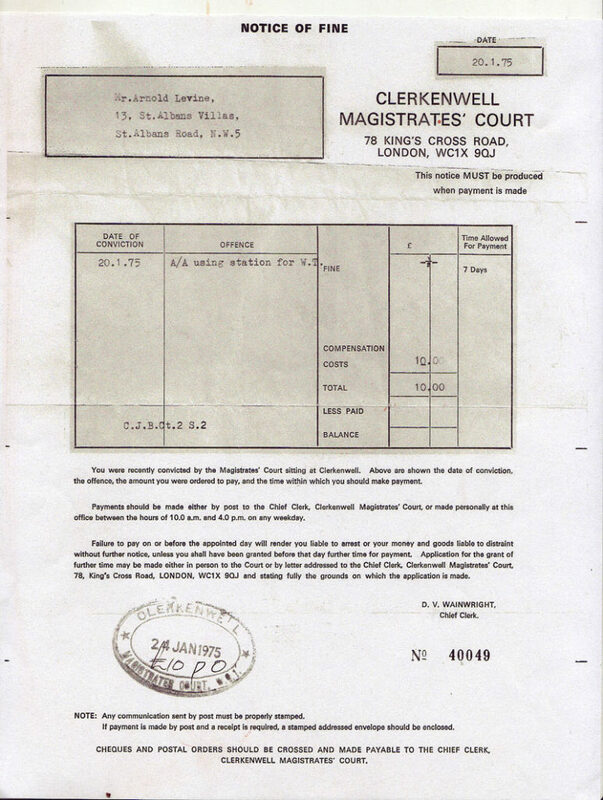 Magistrates court receipt for fine.